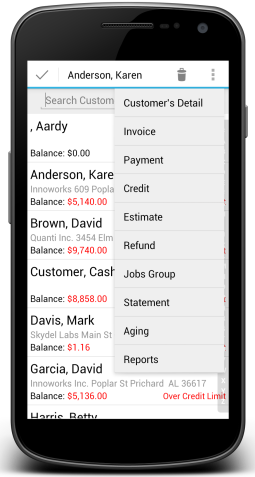 INVOICE YOUR CUSTOMERS FROM ANYWHERE. Intuitive and easy to use. You’ll be up and running within minutes. 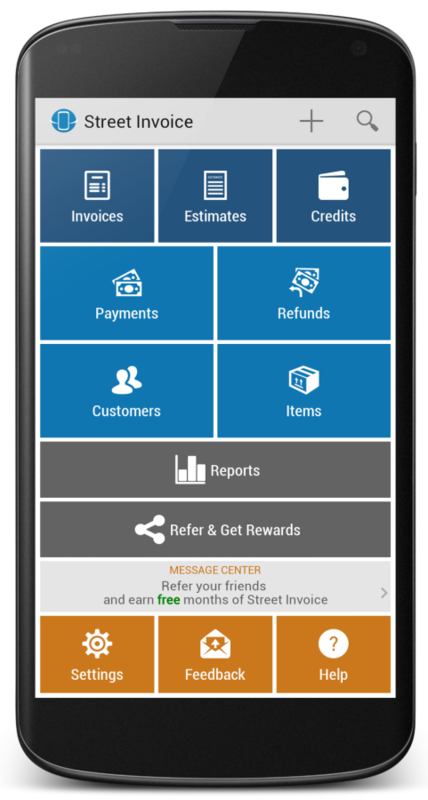 Create & send estimates, quotes and invoices on the spot via email & text. Save time. Get paid faster. Set Street Invoice to send out automatic statements. 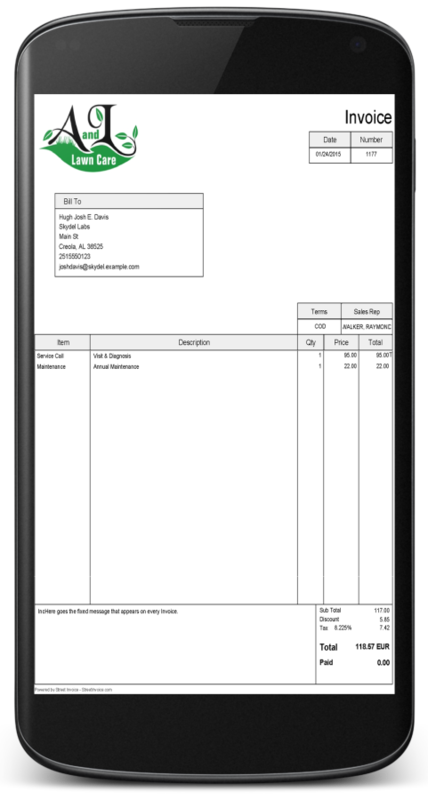 Fully customizable with your company logo, item lists, multiple pricing levels, invoice terms, purchase order numbers, terms, tax rates and more. 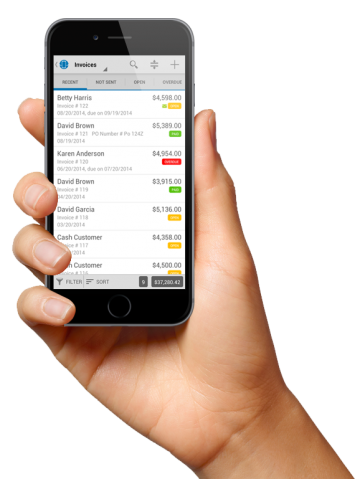 Add customers directly from your phone address book and always have your customer’s history, contact info and balance, at the touch of your finger tips. Advanced features include: signature capture, job and project tracking, data live across multiple devices, team use, multiple companies, secure cloud-based technology and desktop access. "You all are great and keep up the excellent work and customer service! 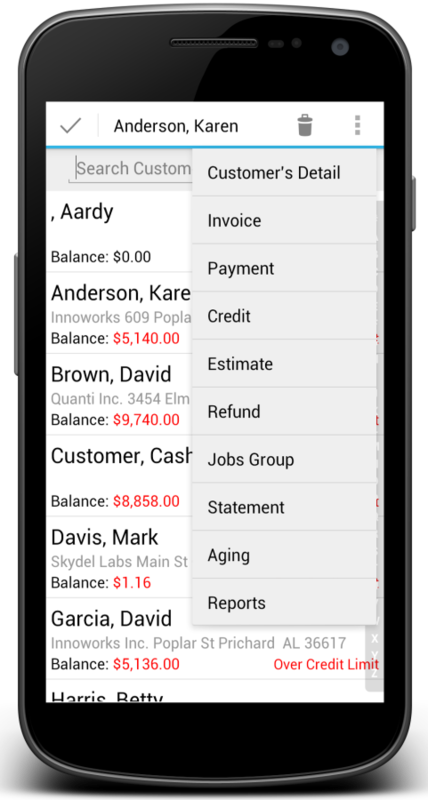 I love to go from your mobile app out in the field then to at home on the desktop! So user friendly and quick!" 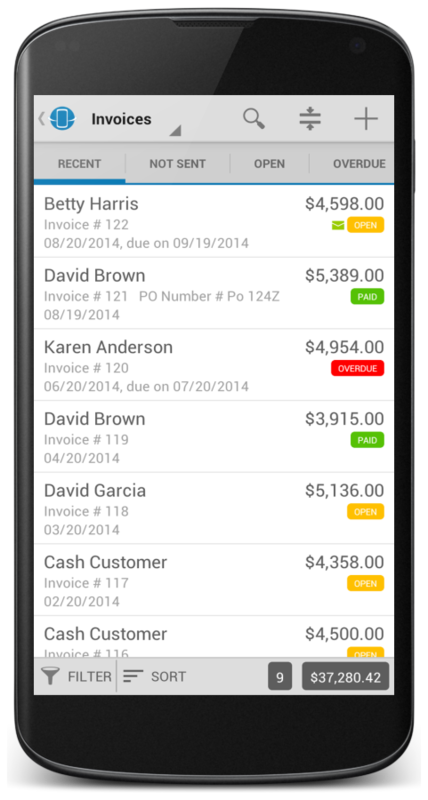 "It's saved me from having to keep up with paper invoices. It keeps up with who has paid me and who hasn't. No more forgetting to bill someone when I get home & I'm tired. I love it." "Great app! I am an electrical contractor and needed an app that I could input everything that I carry as stock and be able to accurately/easily charge for all of it." 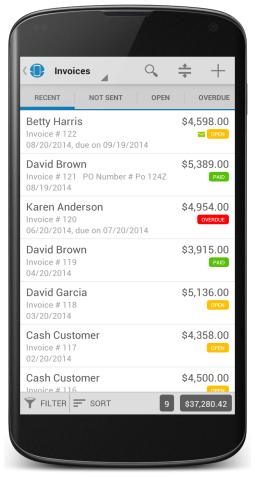 Street Invoice screens are clear, intuitive and easy to navigate. We’ve worked closely with users in the field to design the product that fits your needs.